For 3 generations, Henrico Roofing has been preforming roof inspections and repair/ replacement services for all types of residential and commercial roofs in Henrico Virginia including the Greater Richmond areas, such as Mechanicsville, Glen Allen, Short Pump, New Kent, Ashland, Varina, Highland Springs, and surrounding areas. We are licensed, bonded and insured in the state of Virginia. ​Our residential, commercial, church, business and office roof Inspectors are promoted from a selection of employees that have a long history of experience in the roofing industry including mechanical knowledge of building maintenance issues. Our roof inspectors will inspect the entire roof looking for leaks, deteriorated sealants, rooftop equipment maintenance issues, tears in membrane for flat roofs, debris, and a host of other common or uncommon problems. Photographs of roof faults or potential failures will be taken to aid understanding and will be included in the written assessment. ​A majority of roofers suggest that homeowners, business owners and church caretakers should have their new roof examined at the 5-year mark until it reaches 15 years then every 2 years till it requires replacement. Shingles that are buckling, curling or missing. Shingle nails that are exposed. Vents or pipes checked for holes or gaps in gaskets. Roof debris (will cause roof leaks by trapping water). Inside the home will be checked for evidence of roof leaks, such as ceiling leaks, and or moldy smell indicating a hidden wall leak. Lastly the attic ventilation will be assessed, for example checking the roof deck boards for black streaks (indicates decay), leaks around the vents, and check for clogged soffits. During the inspection, problems will be pointed out and possible solutions suggested which will alert the client to how minor or extensive the repair is. The written assessment of the commercial, church, business, or office roof will explain the reliability of the roof’s system and bring to awareness any potential failures. Also, it will promote budget friendly repairs to the roof faults including any maintenance upgrades that could substantially slow further deterioration of the roofs system. The roof assessment is free of charges and any commitments. Contact us at (804) 894-9139 for a free, no commitments roof inspection. We’ll respond quickly and at your convenience schedule an appointment. ​Flat Commercial Roofs should be inspected after every severe storm, and at least 2 times a year. What drops in, blows in or crawls on your roof will stay until someone takes it off. Henrico Roofing could make an inspection at spring, fall and after bad storms. Taking advantage of our free, no commitments, roof assessment and get a good evaluation of what kind of shape your roof is in. Your encouraged to follow the inspector during the roof assessment to aid in communications and increased understanding. The inspector has a check list to follow of several possible deterioration points: accessories in need of repair, safety concerns, mold and mildew indications, roof debris, and condition of flashings. Photographs of roof faults will be taken to be attached to the written assessment- allowing the client to visualize the problems while reading it. 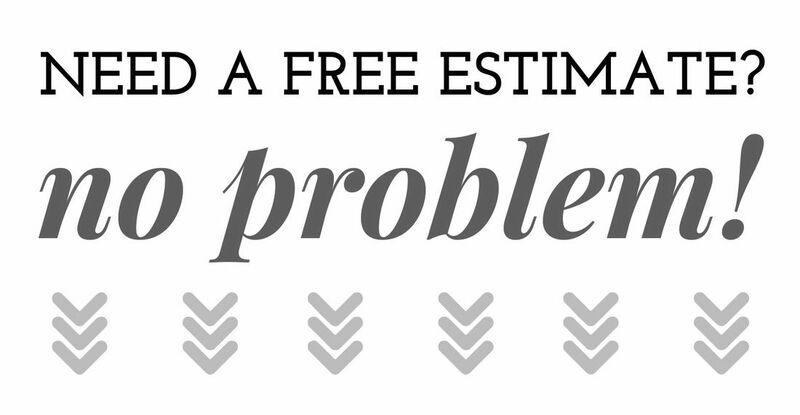 ​Most Estimates can be prepared within a day. However, a full roof replacement estimate could take a few days. We need the time to develop the best economical solutions factored in with your desires. ​Roofing Troubles? Don’t hesitate to give us a call at (804) 894—9139 and request a free no strings attached, roof assessment.